Condominium development in Brooklyn slowed to a more modest pace in 2017, according to a ranking of offering plans accepted by the New York state Attorney General’s office this year. Of the 10 biggest projects ranked by targeted sellout on acceptance, just one development was aiming for a price point above $100 million, compared to three last year. The 10 developments are all new construction and scattered throughout the borough, from Greenpoint to Sheepshead Bay. 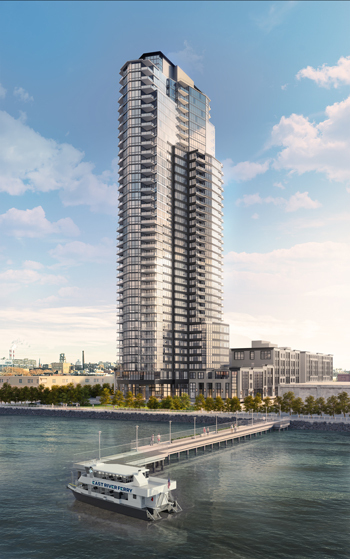 At the top of the list was the 40-story Greenpoint, a mixed rental-and-condo building and Greenpoint’s tallest tower-to-be, with a projected $165 million pot of gold for 95 apartments. The most expensive by price-per-unit was a seven-story building in Carroll Gardens, where developers Avery Hall and Aria Development are hoping for a $53 million sellout for 17 apartments. Source: TRData analysis of NYS Attorney General data. The sellout price is the price on acceptance. Greenpoint’s tallest residential building is a mixed condo-and-rental project with a $165 million projected sellout. The 40-story building at 21 India Street will have 95 condos starting at the 28th floor, according to the condo offering plan filed with the AG’s office. The development team, composed of Mack Real Estate Group, Palin Enterprises and Urban Development Partners, submitted the offering plan in June 2016 and it was accepted a year later with a projected sellout of $143.6 million. Sales at the waterfront building launched in June with prices ranging from $1.5 million for a two-bedroom to $2.2 million for a three-bedroom. 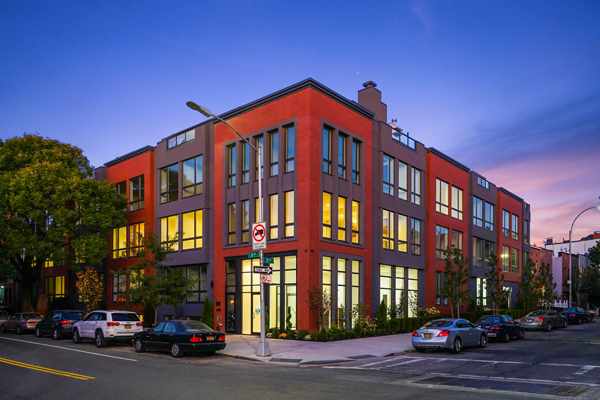 A trio of condo buildings at a seven-building residential complex in Bed-Stuy are aiming for a combined sellout of $111.3 million. Isaac Deutsch’s Empire State Management, Abraham Brach and Nachman Leibowitz are developing the 400,000-square-foot project at the old Cascade Linen factory site. The developers’ plans for the first three buildings were accepted by the AG’s office in May, at the $111.3 million price for 97 apartments. At an average $1.2 million per unit, the apartments will be among the priciest in the neighborhood. The three buildings, to be designed by Samuel Wieder Associates, include 104 Stockton Street, with 33 units and a $37.2 million projected sellout; 114 Stockton Street with 32 units and a $37.6 million sellout; and 134 Stockton with 32 units and a $36.5 million sellout. The tallest building in Sheepshead Bay is targeting a $74.1 million sellout for 56 condos. Muss Development and AvalonBay Development are co-developing the 28-story project, which will have a mix of condos and rentals. The AG’s office accepted the offering plan for the 232-unit building at 1501 Voorhies Avenue in May with an initial projected sellout of $67.5 million. Muss bought the site, which has an alternate address of 1524-1600 Sheepshead Bay Road, for $14 million in 2014. Avery Hall Investments and Aria Development are attempting a $53.4 million sellout for just 17 apartments in Carroll Gardens. 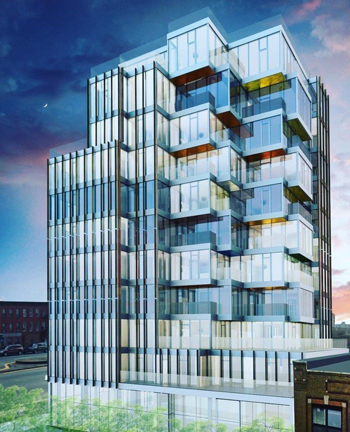 The developers’ seven-story development at 145 President Street will have mostly three- and four-bedroom apartments. The condo plan was accepted with a $52.2 million price tag in July, and upped slightly in the interim, to an average price of $3.1 million per residence. Sales launched in September with prices starting at $2.3 million. Metropolitan Homes is targeting a $50.5 million sellout at a Karl Fischer-designed building in Prospect-Lefferts Gardens. The eight-story building at 2100 Bedford Avenue will have 71 apartments. Metropolitan spent under $1 million for the site in 2014 and demolished three single-family homes to make way for the new development. The AG accepted the condo offering plan in April, at the slightly lower price of $50.2 million. Sales launched that same month with prices ranging from $435,000 to $1.2 million for the building’s mix of studios to three-bedrooms. Sergey Rybak’s Rybak Development is bringing 33 condos to Williamsburg with a total asking price of $48 million, or about $1.5 million per apartment on average. The nine-story building at 88 Withers Street, named Element 88, includes a 5,000-square-foot retail component. Zproekt Architecture is behind the building’s unusual design. Bentley Zhao’s New Empire Real Estate Development is shooting for a $45 million sellout at its Sheepshead Bay condo project. 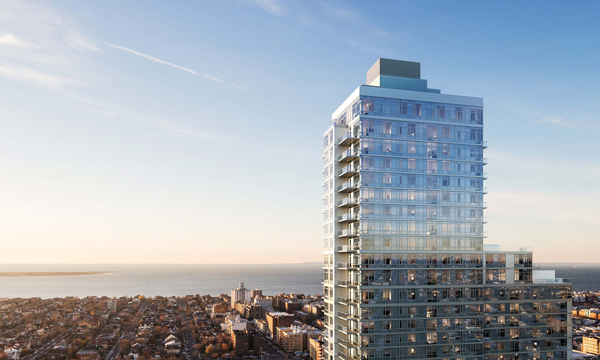 Zhao’s 56-unit project at 2128 Ocean Avenue has been named the Onyx Square Condominium. Plans for the project were accepted by the AG’s office in March with an initial price of $43 million. Zhao bought the lot from Yu Xi-Liu last June for $3.9 million. Shiraz Sanjana, once banned by the AG from selling condos in New York City, has a new development coming to market with a $41 million projected sellout. The developer’s three-story condo building at 695 Sixth Avenue in Greenwood Heights will have 34 residences. The AG accepted the plan with an initial price offer of $40 million in February. Sanjana was banned from selling condos for 16 months in 2014 after the AG investigated the developer and his partner over shoddy construction, fraudulent paperwork and other misdeeds at their Harlem condo project. 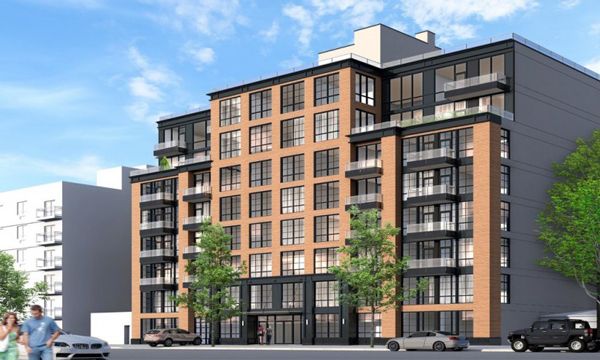 The developers behind a boutique condo building in Greenpoint are asking $35.4 million for 14 apartments, or an average of $2.5 million per unit. Chatham Development Company is behind the six-story building at 868 Lorimer Street across from McCarren Park. The Long Island-based firm is also behind Chatham 44, a 58-unit condo building in Hell’s Kitchen. Boaz Gilad’s Brookland Capital is targeting a $36 million sellout at a 36-unit condo in Gowanus. Sales at the 11-story building at 554 Fourth Avenue have launched, with move-ins expected in 2018. The AG accepted the condo offering plan in September with an initial projected sellout of $30.1 million. Gilad recently took full control of Brookland’s parent company, months after buying out his partner.